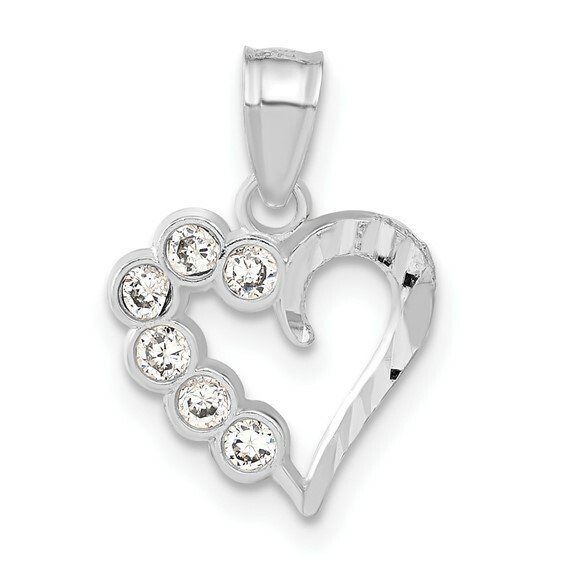 Sterling silver CZ heart charm. Weight: 0.6 grams. Item measures 1/2 inches tall by 1/2 inch wide. This item is half the size of a quarter.